Robert Kiyosaki- "The rich focus on their asset columns while the poor and middle class focus on their income columns." Don’t work for money; make it work for you. The more a person seeks security, the more that person gives up control over his life. Today is the word for winners and tomorrow is the word for losers. As entrepreneurs, it’s important to be winners. Start small and dream big. There are three very important money skills that everyone should possess: how to earn money, how to manage it and how to invest it. Your business revolves around your asset column, as opposed to your income column. The rich focus on their asset columns while the poor and middle class focus on their income columns. The size of your success is measured by the strength of your desire; the size of your dream; and how you handle disappointment along the way. The only difference between a rich person and poor person is how they use their time. The poor, the unsuccessful, the unhappy, the unhealthy are the ones who use the word tomorrow the most. Remember, your mind is your greatest asset, so be careful what you put into it. Face your fears and doubts, and new worlds will open to you. Inside of every problem lies an opportunity. Remember to dream big, think long-term, underachieve on a daily basis, and take baby steps. That is the key to long-term success. Many people confuse their profession with their business. To become financially secure people need to mind their own business. All of these skills were important for my success. We flew to win. Before every flight, I would remind my crew that our job was not to give our lives for our country. Tomorrows only exist in the minds of dreamers and losers. Do today what you want for your tomorrow. If you aren’t practicing and playing to be first, then maybe you shouldn’t be an entrepreneur. The single best piece of advice I can give is this: Be careful what financial advice you listen to. Most financial advice—such as “save money,” “get out of debt,” “invest for the long term” and “diversify”—is fine for the middle class or the poor. It’s not good advice if you want to be rich because it is obsolete advice. For example, in 1971 the U.S. went off the gold standard and the U.S. dollar became a currency and . . . currencies are designed to lose money. That’s why today, “save money” is bad advice. Am I a coward or not? Your future is created by what you do today, not tomorrow. Do today what you want for your tomorrows. Mariners actually lost people in the way. It was what was called a battle standard. You need to understand the difference between an asset and a liability. An asset puts money in your pocket and a liability takes money from your pocket. The rich understand the difference and buy assets, not liabilities. In the Industrial Age the ticket for success was to go to school, get good grades, and find a safe secure job for life. You did not have to worry about your financial education because the company and the government would take care of you financially once your working days were over. The rules have changed. You can no longer rely on your employer or your government to take care of you. Today, we are in the Information Age and more than job security we all need financial security. Unfortunately, our school system teaches us little about the subject of money. Our children will be required to learn much more than we ever did, and much more than schools are prepared to teach them. Cash flow management is an essential life skill and a skill that will require more and more sophistication as we move further into the Information Age. I have a problem with too much money. I can’t reinvest it fast enough, and because I reinvest it, more money comes in. Yes, the rich do get richer. The Tax Code of the United States provides many vehicles for people to save on their taxes. Most of these vehicles are available to anyone but it is the rich who usually look for them and use them because they have learned to “mind their own business.” For example an individual can utilize the tax advantages and protection provided by a corporation to get rich much faster than someone who is an employee or a small-business sole proprietor. Your mentors in life are important, so choose them wisely. I wanted to validate the parent’s most important role of teaching their children. It’s not something you want to leave up to the school system. Ultimately, right or wrong, the parent is the child’s most important teacher. “The poor and middle class work for money. The rich have money work for them,” he would say to me. The rich buy or create assets that work for them so they don’t have to. My parents were very active in my education, otherwise I would have flunked out. I would have been a juvenile delinquent probably. Academic qualifications are important and so is financial education. They’re both important and schools are forgetting one of them. Money is kind of a base subject. Like water, food, air and housing, it affects everything yet for some reason the world of academics thinks it’s a subject below their social standing. A lot of people are afraid to tell the truth, to say no. That’s where toughness comes into play. Toughness is not being a bully. It’s having backbone. Work to learn–don’t work for money. 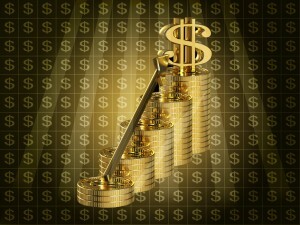 To become successful you must learn how to manage cash flow, systems and people. Being in the Marines taught me leadership and working in sales for Xerox taught me how to sell and how to accept rejection. All of these skills were important for my success. Look for jobs that can help you develop the skills of managing cash flow, systems and people rather than just pay you well. If you’re going to be successful in business, you have to find a place to develop character. The Marine Corps did that for me. The toughness, the discipline, the training – it carries on, and it made a man out of me. If you want to go somewhere, it is best to find someone who has already been there. I still consider myself a little, fat kid from Hawaii. The values or points of view between the middle class and the rich are exactly opposite. You have to be smart. The easy days are over. The rich focus on their asset columns while the poor and middle class focus on their income columns. Money is a base subject. Great opportunities are not seen with your eyes. They are seen with your mind. Most people never get wealthy simply because they are not trained financially to recognize opportunities right in front of them. The rich have learned to recognize opportunities as well as how to create them. There have never been more opportunities to become rich in the last 10 years. And there’ll be even more opportunities in the next 10. My investment career had begun. More important, I was training my brain to see what most people don’t see. People who refuse to open their minds to new strategies seldom become rich, which I guess is why there are more critics in the world than rich people. Many entrepreneurs fail to grow because they lack leadership skills. And rather than look in the mirror, they find it easier to blame others. Blame is short for be-lame, and you can’t be an effective leader if you’re lame. Being in the Marines taught me leadership. First was the mission, second was the team, and personal interests came last. Look for jobs that can help you develop the skills of managing cash flow, systems and people rather than just pay you well. © 2012 All rights reserved Copyright Investerarcitat.se | Har Du frågor, förslag eller synpunkter; är Du välkommen att kontakta oss.